Warning: This will be a LONG post. 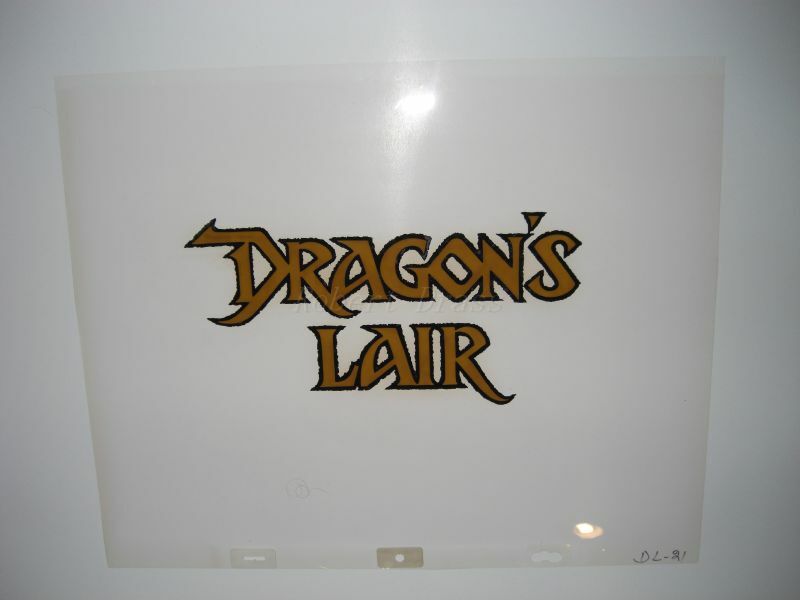 When I was a teenager, I worked in an arcade when Dragon's Lair came out. I worked in a tourist town in the US near Atlantic City. I spent a lot of quarters and got close to finishing it. I teamed up with someone else and we finished it with in the first 2 weeks after we got the game. It used to draw huge crowds. They used to hook a TV on top of the game so the crowds could see what was going on. It wasn't uncommon to have 50+ people standing around you if they heard that you could get to the dragon. My partner and I decided to write a book on how to finish the game. 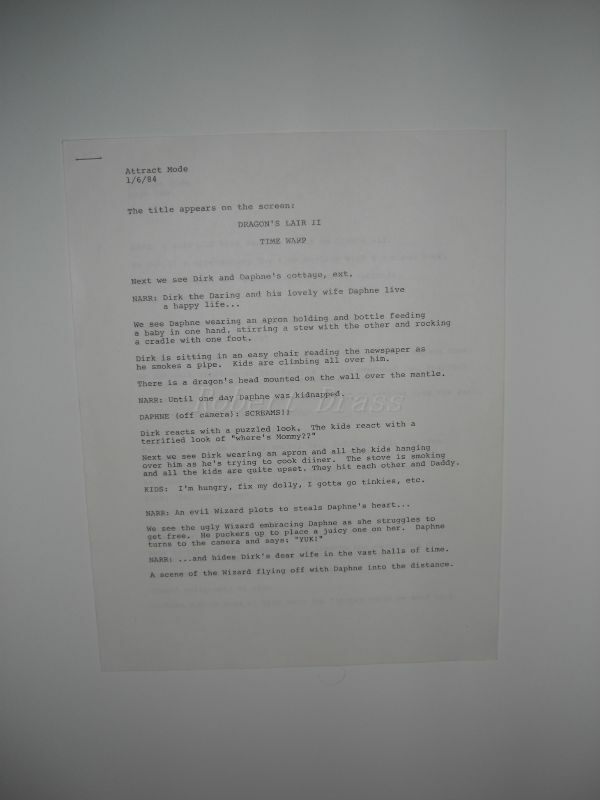 We hand wrote it out, then typed it into an apple computer and photo copied the pages. We then sold copies of it. Someone took our guide and sold it to one of the arcade mags. 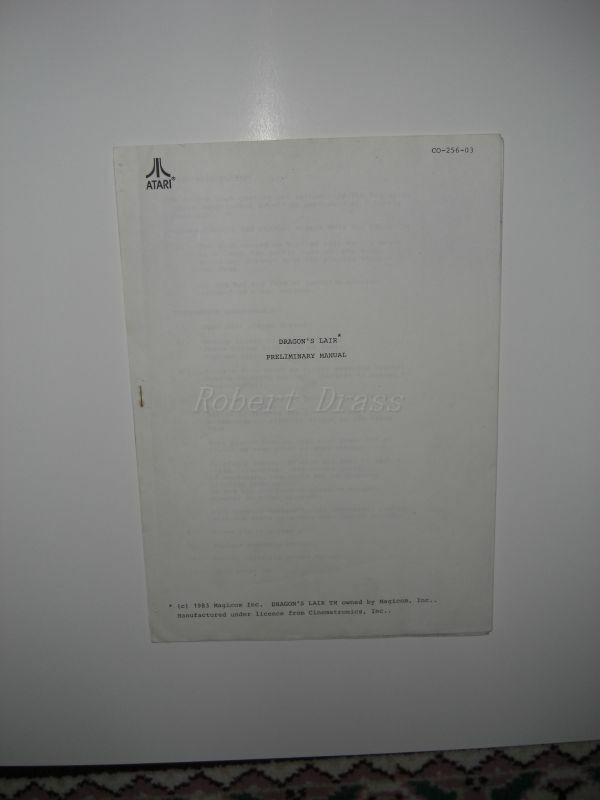 It read word for word, but since we didn't have a copyright on it, we couldn't really prove that we did it. 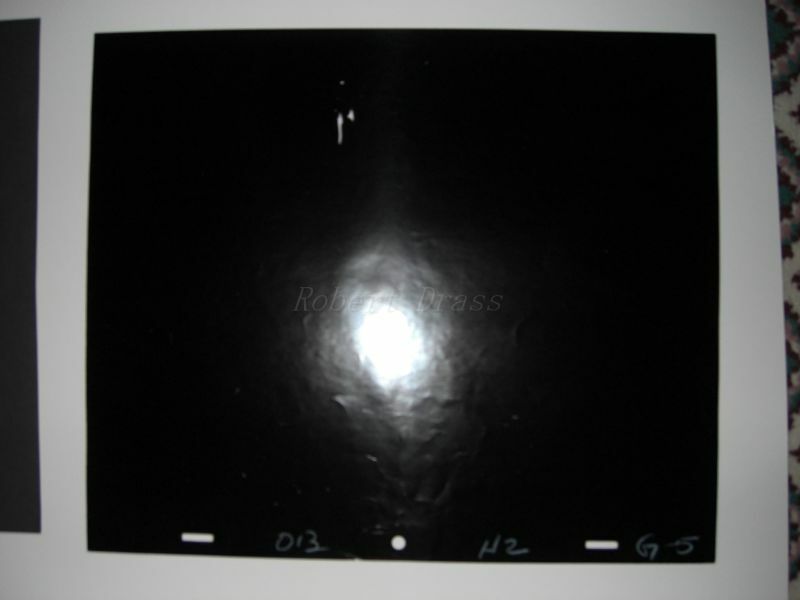 Later that year, my brother found the first "exposure sheet" and gave it to me. I still do not know how he came across it. 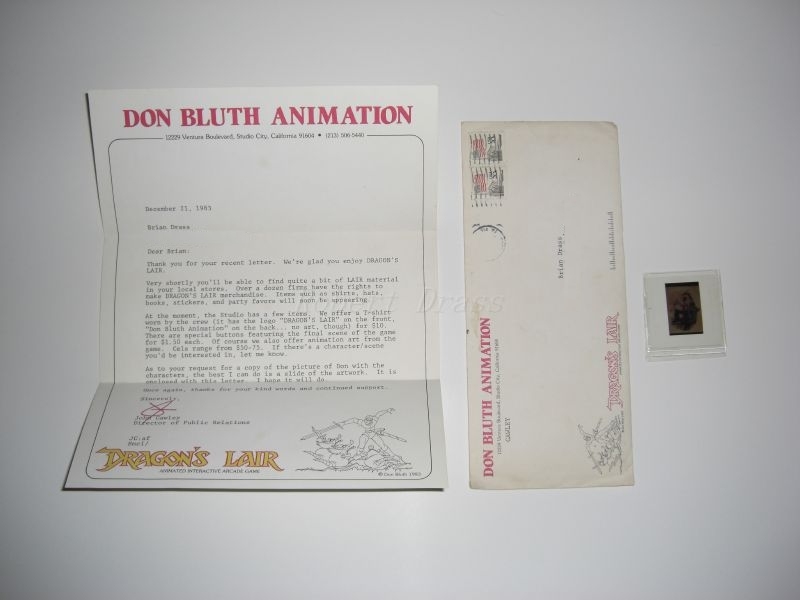 I decided to write them and ask for a copy of a publicity photo I saw in a magazine (Don Bluth sitting in a chair with Dirk, Daphne and Singe around him). 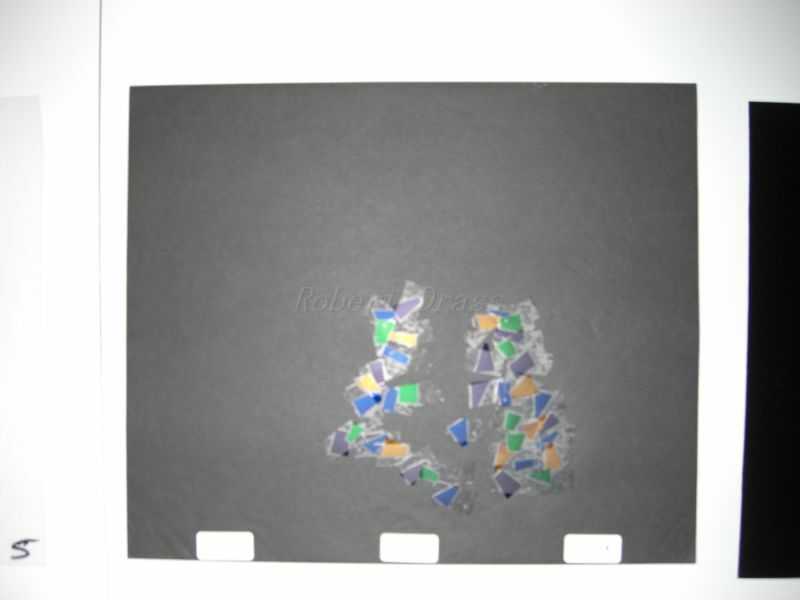 I received a reply in December with a nice letter and a 35mm slide of the publicity photo. 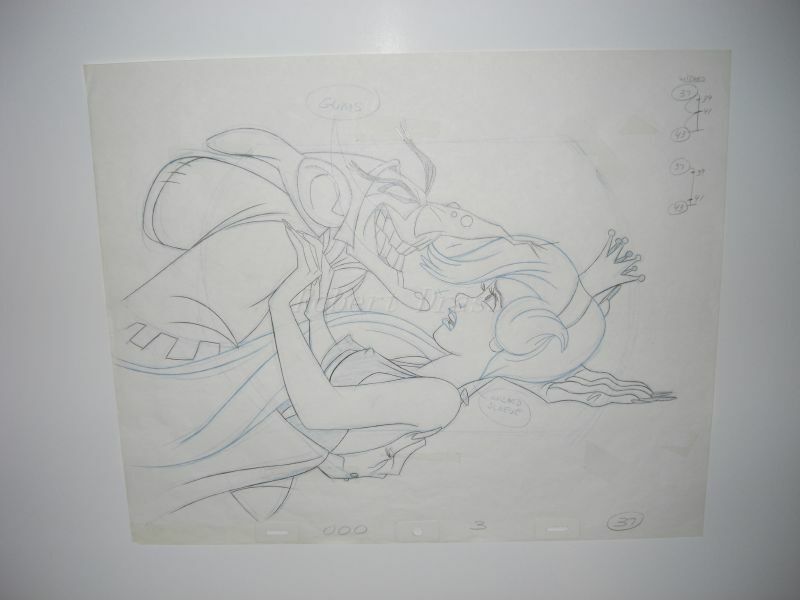 In the letter, he mentioned animation cels for $75 of all three characters. I really wanted one (or more)....but couldn't afford it. It left a long desire in me that I have yet to quench. I started my collection with the book I wrote. 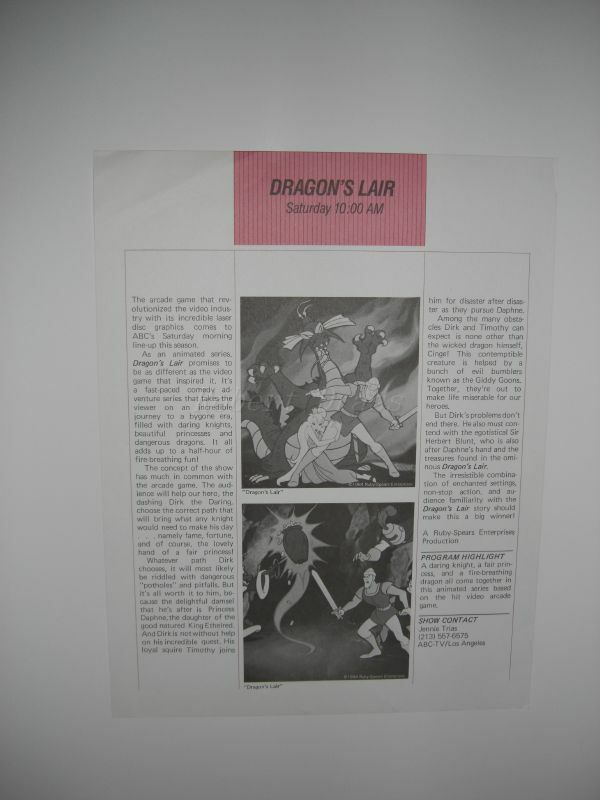 I also started a scrap book of any articles I could find on DL. 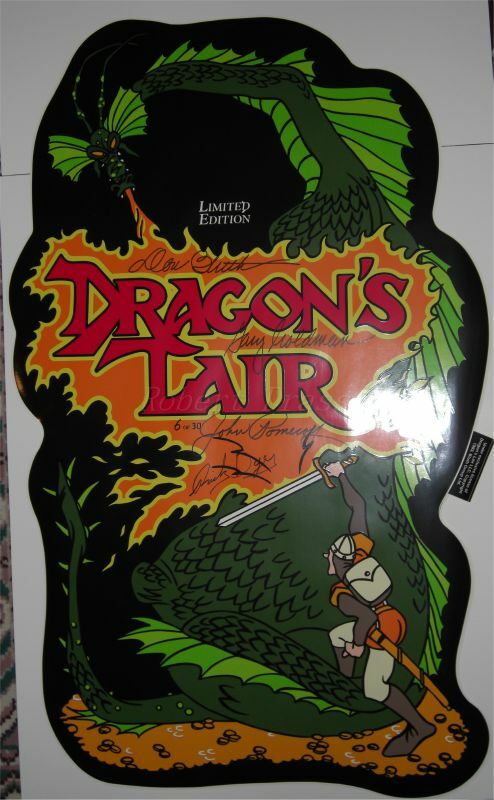 I also swiped the side art from one of the DL machines from the arcade and turned it into a poster that hung in my parents house for many years (I'm still pissed they got rid of it). 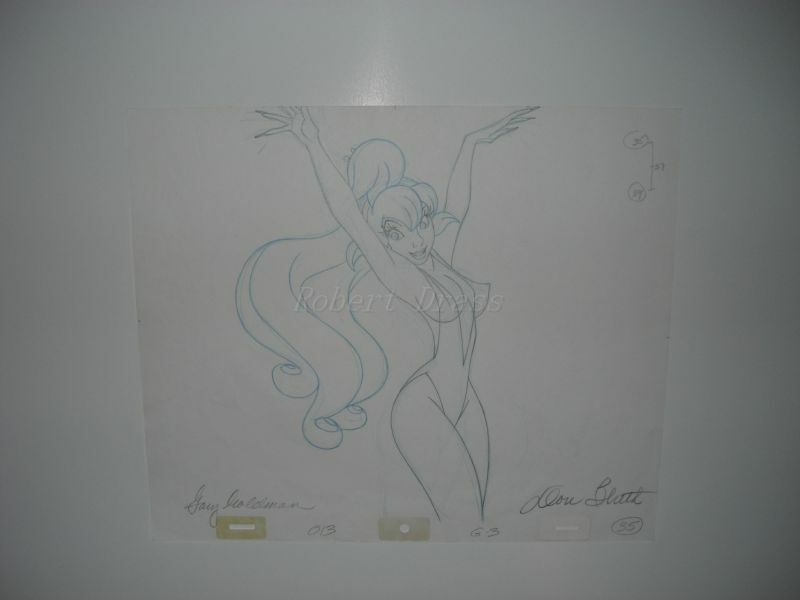 My collection went kind of dormant for quite a while, but I always wanted to get an animation cel since I had missed out on it when I was younger. 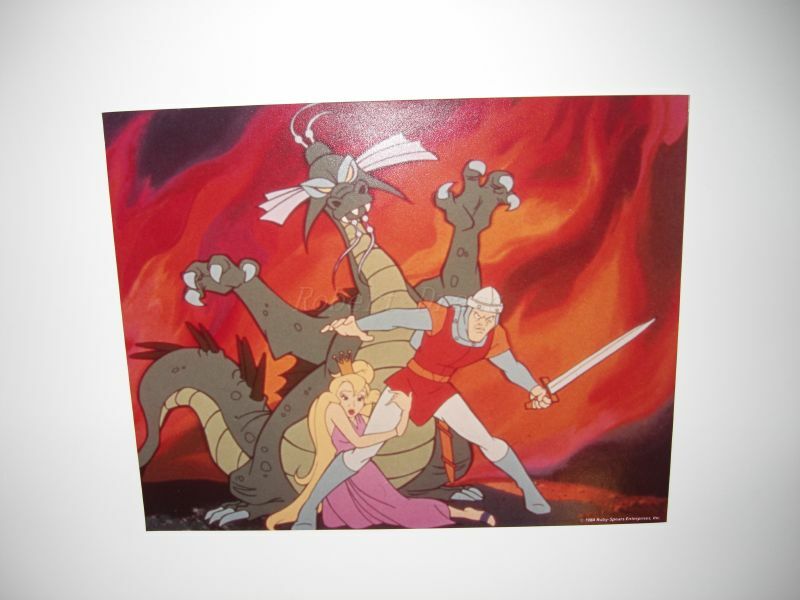 The advent of Ebay (back then known as auctionweb), led me to the beginning of my cel quest. 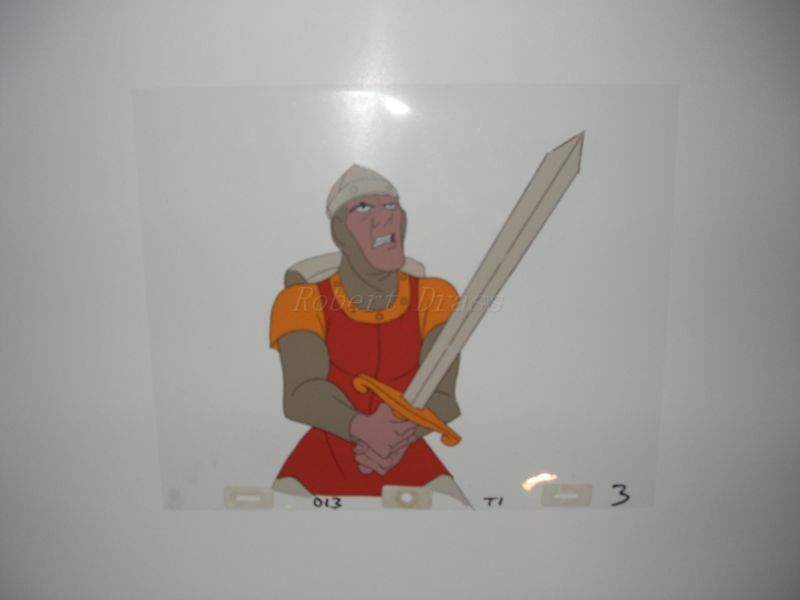 I got a cel of Dirk riding the magic horse. It is framed and still on my wall. 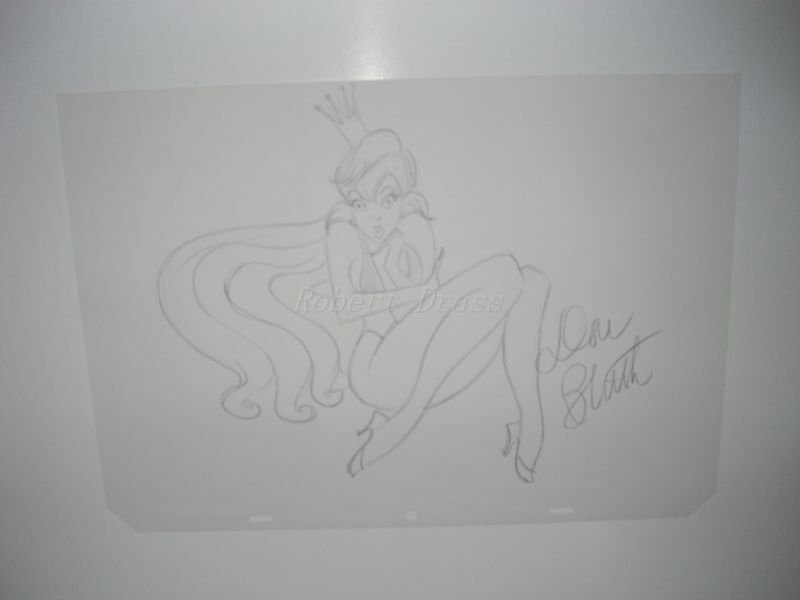 My letter from Don Bluth Studios. 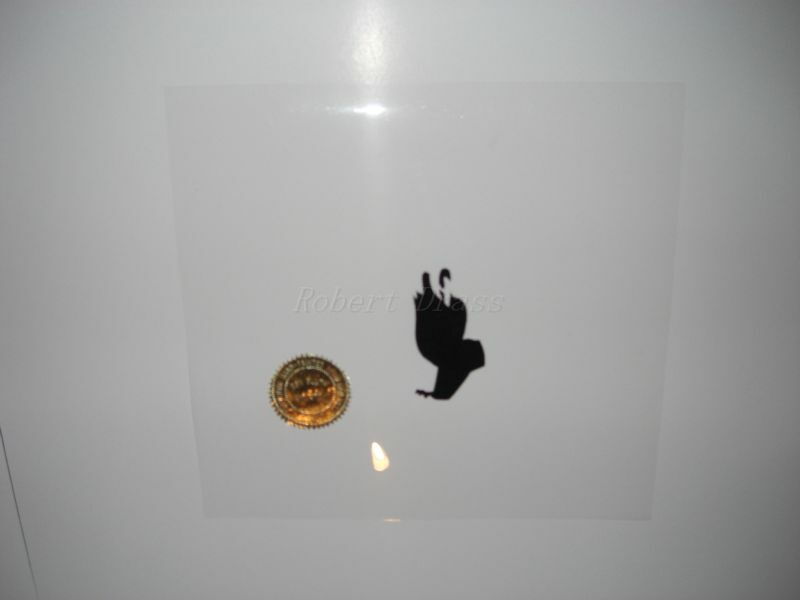 Ironically I ended up finding John Cawley years later when I bought an item off of ebay. When I sent him a money order, the name rang a bell and I dug out my letter and sure enough, it was him. I had a nice long email conversation about it. He is a nice person. 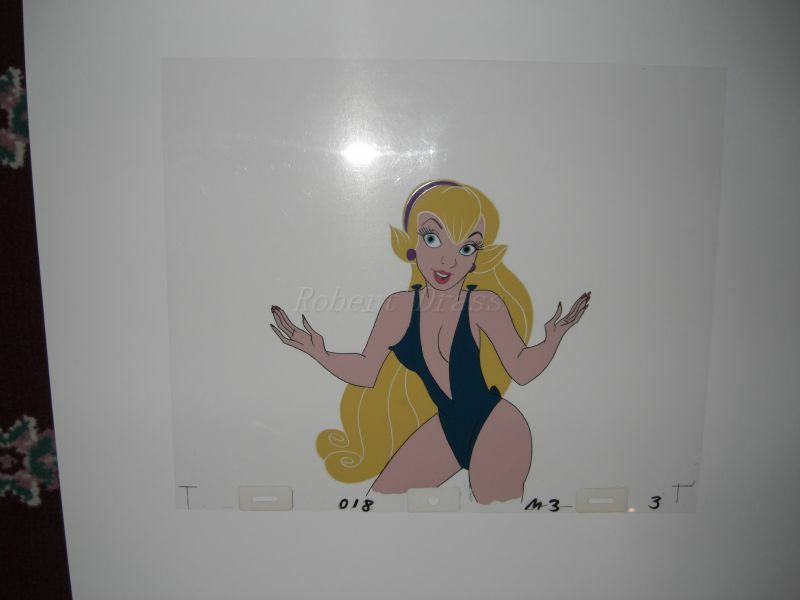 This cel is my favorite cel. 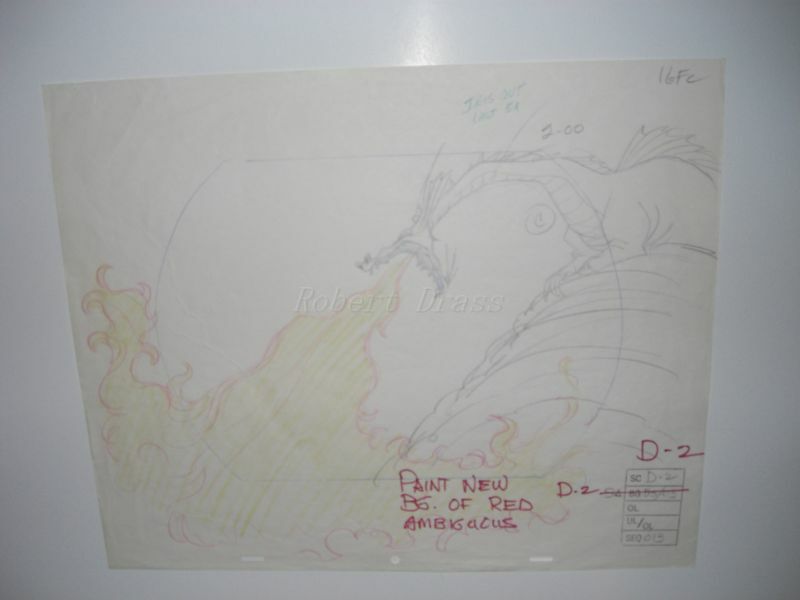 The reason is because it composes of the main cel, the cape black out cel and then two special effect cels. 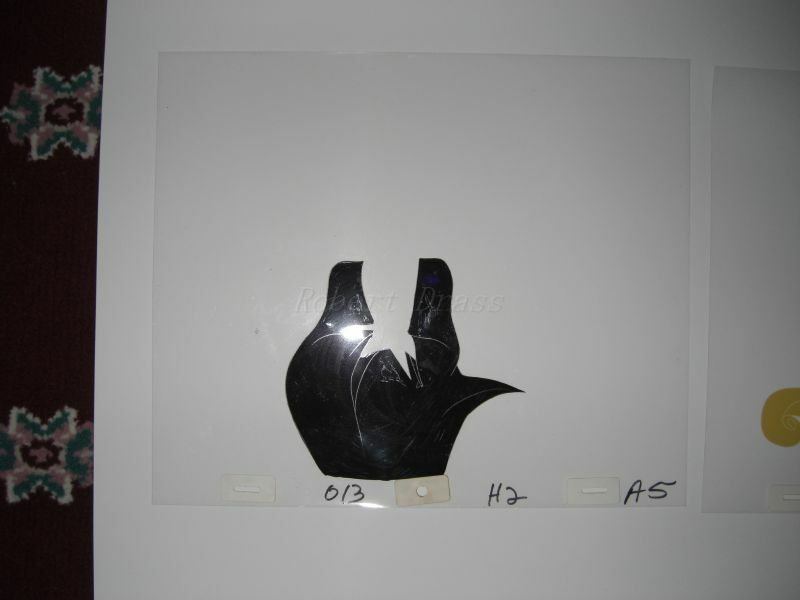 The first one shows the cellophane pieces taped on the back in order to provide the sparkles for the cape the other is for a light effect on the crown. 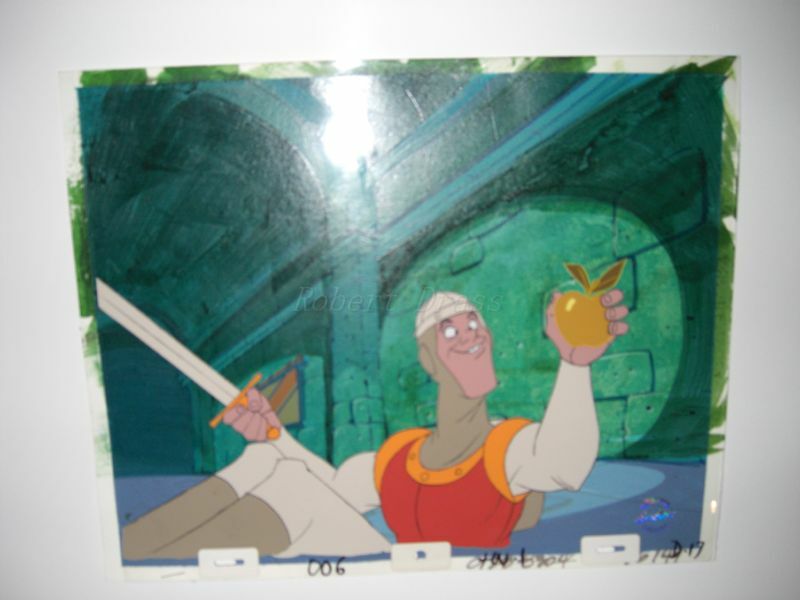 My next favorite cel. The quintessential pose of Dirk. 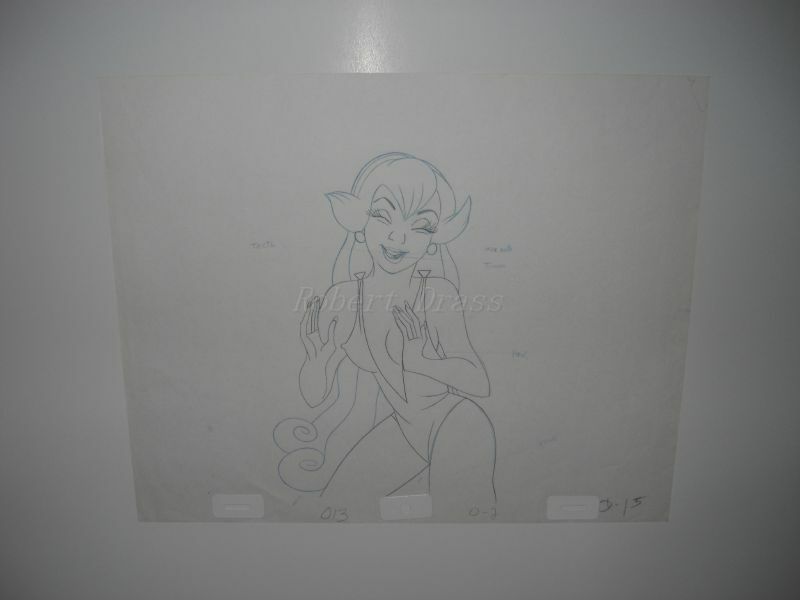 I bought the drawing first and was contacted by someone who said they had a cel that matched the drawing. I bought it and sure enough, the numbers all matched the drawing. 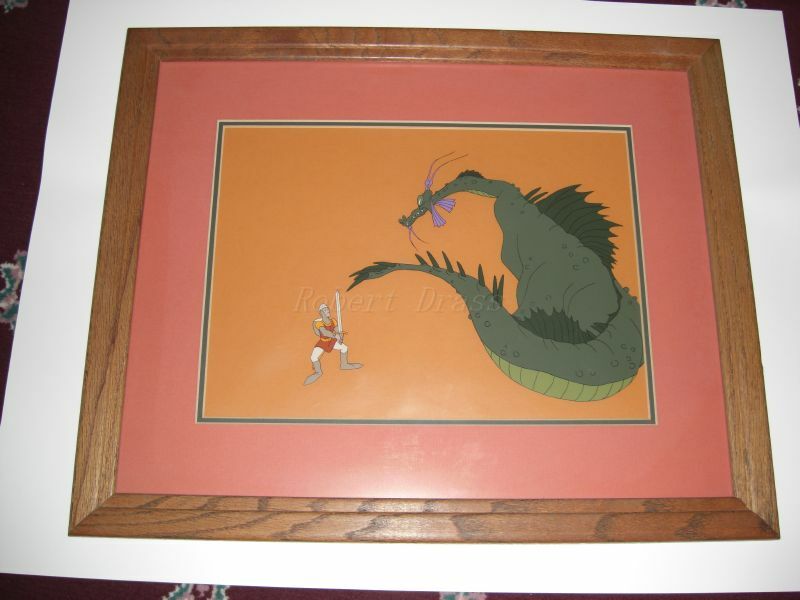 It is a 4 lair cel. 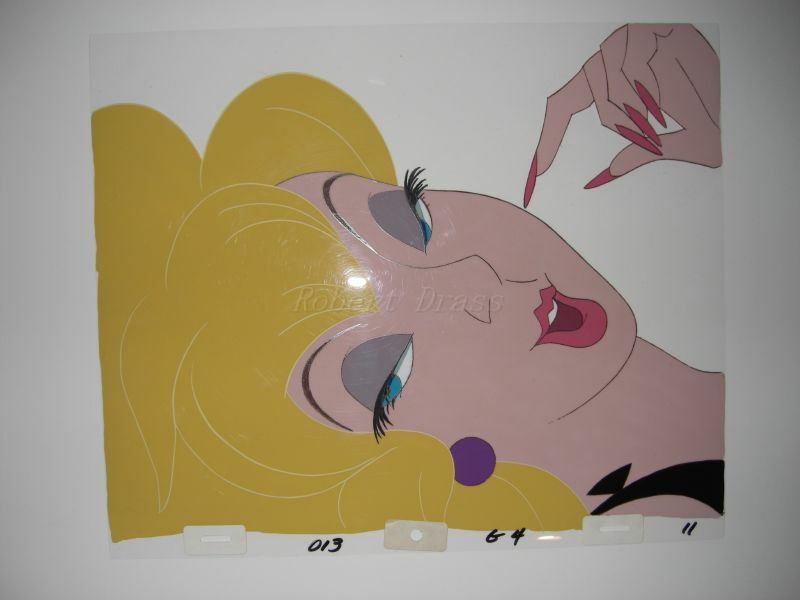 DL II cel, but is the only one I own with an original background. 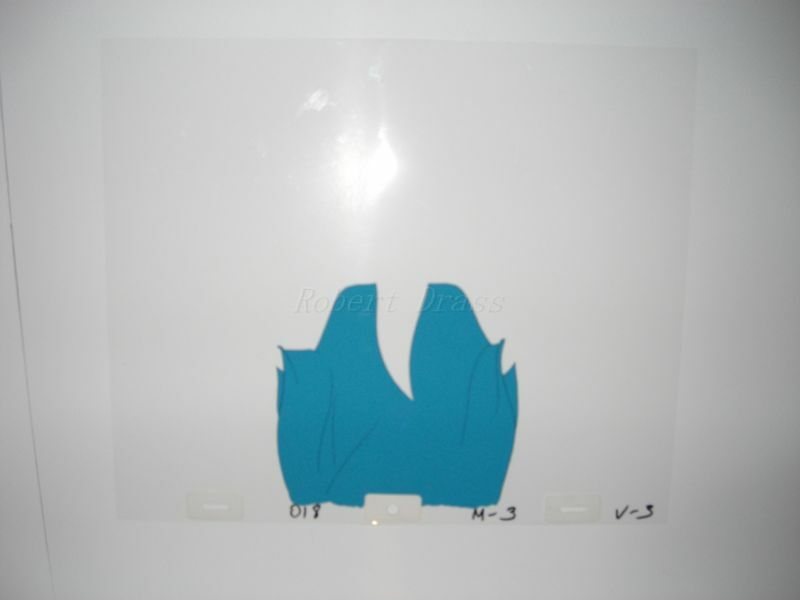 If you notice, they changed from black to blue for the cape for DL II. 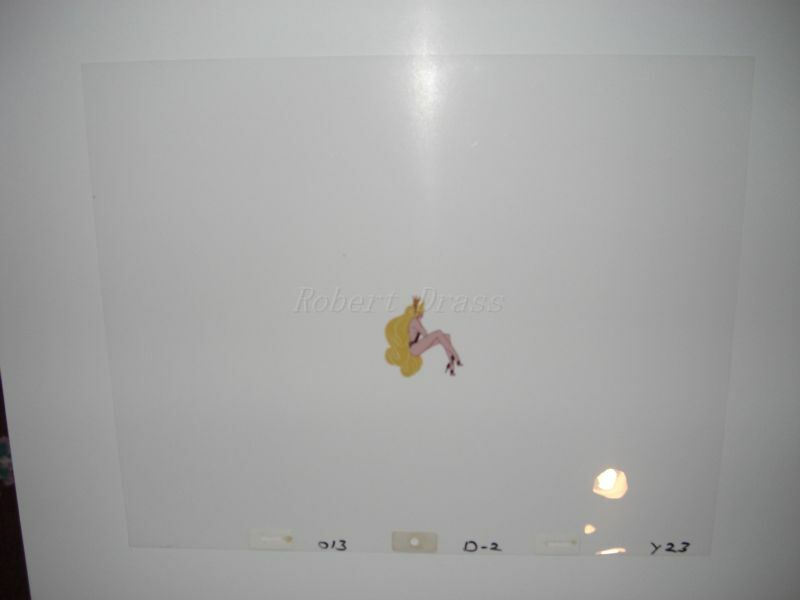 I also have a DL 3d drawing, but I guess I forgot to get a picture of it. 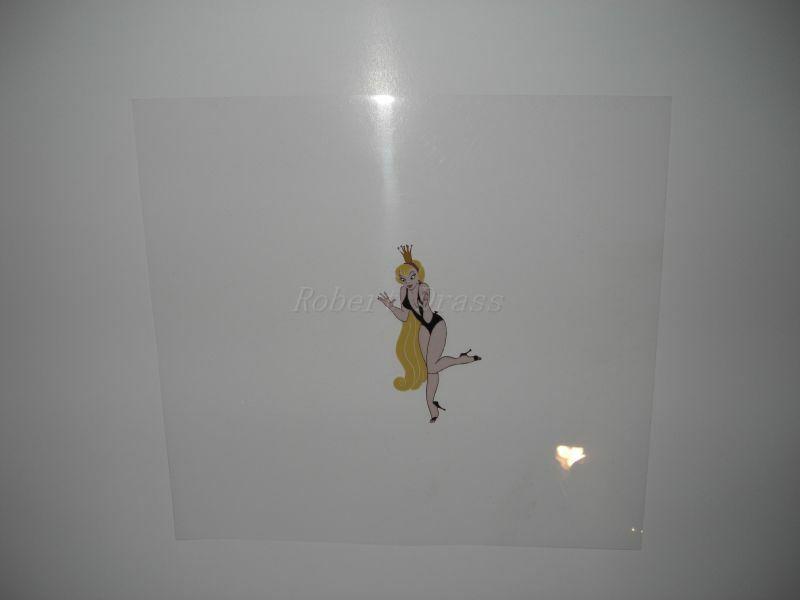 When the side art was re-issued, they offered 30 signed copies of a limited edition side art. I got the first one available to the public. Finny probably has the first one knowing him. Just an original photo used in the article listed. I wish I had room to display all my collection. I have them in art books that I show off. 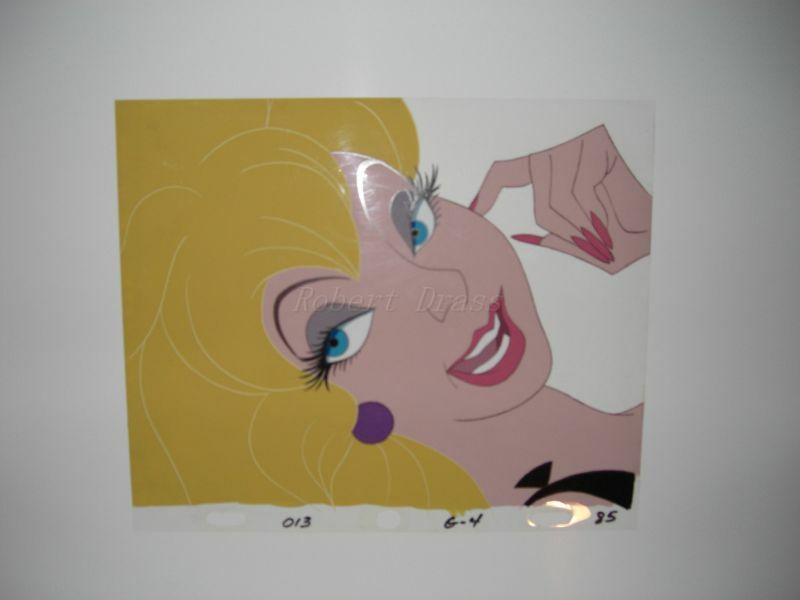 I also have about ½ dozen cels framed and hung on the wall that are not listed in this collection. 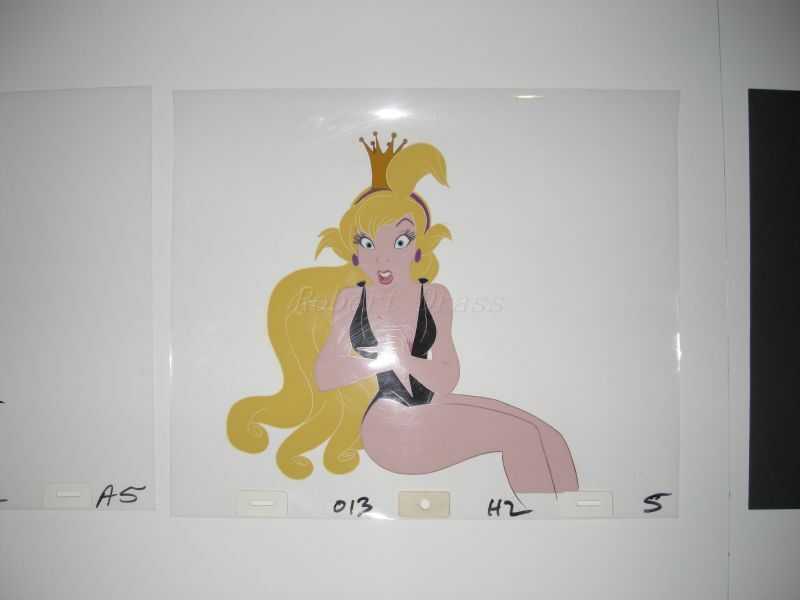 I didn't have time to photograph them and they are good framing cels and not prime cels. 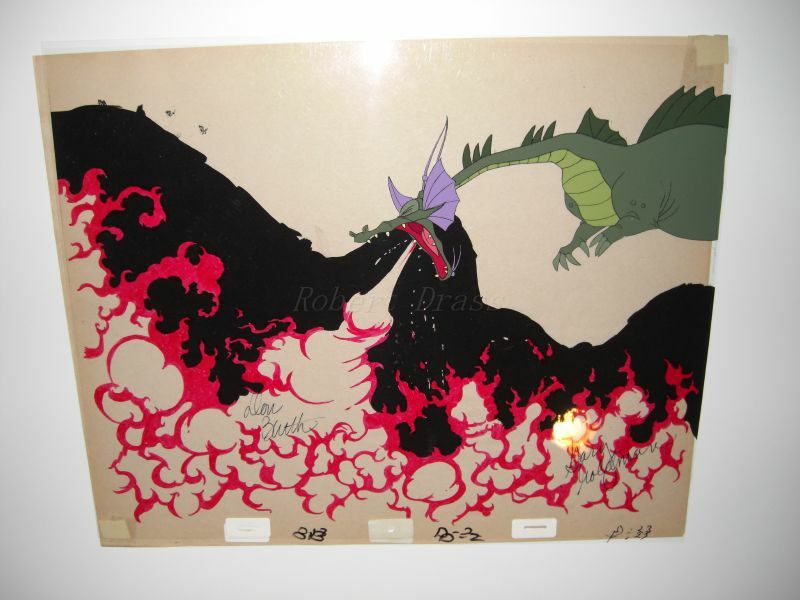 I don't mind them getting the light damage that cels get. I also wish I had the space to get a full sized DL machine. I was so tempted about a month ago. There was one for sale on ebay and it wasn't far from my house. I think I could have spent the money for it without tightening my belt too much, but I wouldn't have had any room to put it. I hope you enjoy my collection as much as I do. Yes, If you can... "tighten your belt" !!! 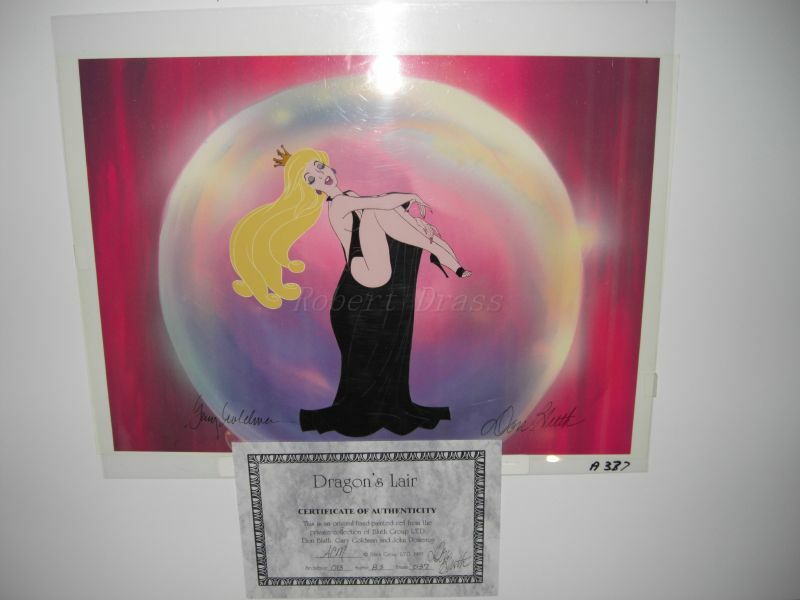 You have a wonderful collection to put around a Dragon's Lair Machine..... I know how money can be tight.... 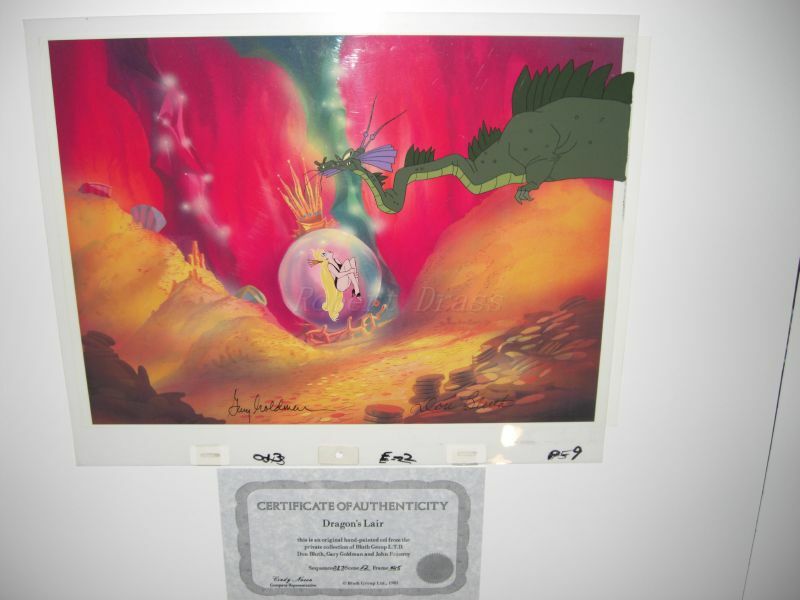 I want a Space Ace to go with my collection.. but it will have to wait for now :cry: I hope you an get your own Dragon's Lair soon!! It might be easier to ask local arcade repair places, they might point you in the right directon in finding one...you might get a better deal than putting up with eBay. Wonderful artwork collection Brian. Thanks for sharing it with us. As far as the Space Ace that got away. Nowadays I no longer hesitate when I see a machine that I would like to have. Several years ago I had the opportunity to purchase many, many laser games for really, really cheap. I passed on that. Now, it would cost me a fortune to get those games (like Cliff Hanger, Firefox (sit down! ), Mach3) and I regret my decision. I have barely any room in my house but I am still picking up games that I really want. That's jsut me, and everyone is different but don't regret it later my friend! There is a converted DL machine on ebay right now. Need some parts and some work but isn't too far from me. I'll think about it...but probably wont get it. My apartment is so small that I really dont have a place for it and I really dont know how well my landlord would react to a DL machine. ...I'll think about it...but probably wont get it. My apartment is so small that I really dont have a place for it and I really dont know how well my landlord would react to a DL machine. 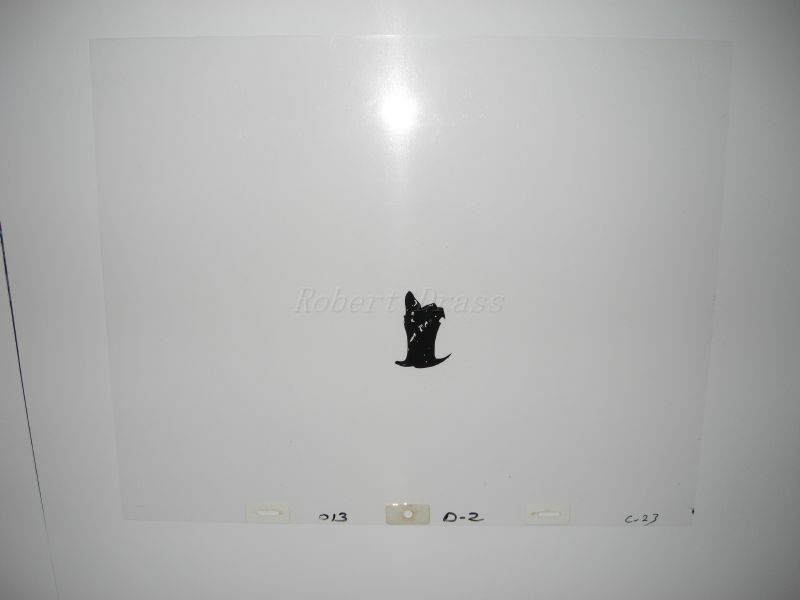 I saw the one on ebay you are talking about. I don;t know about that one. It is just the cabinet basically. It doesn't look like any of the innards are in. 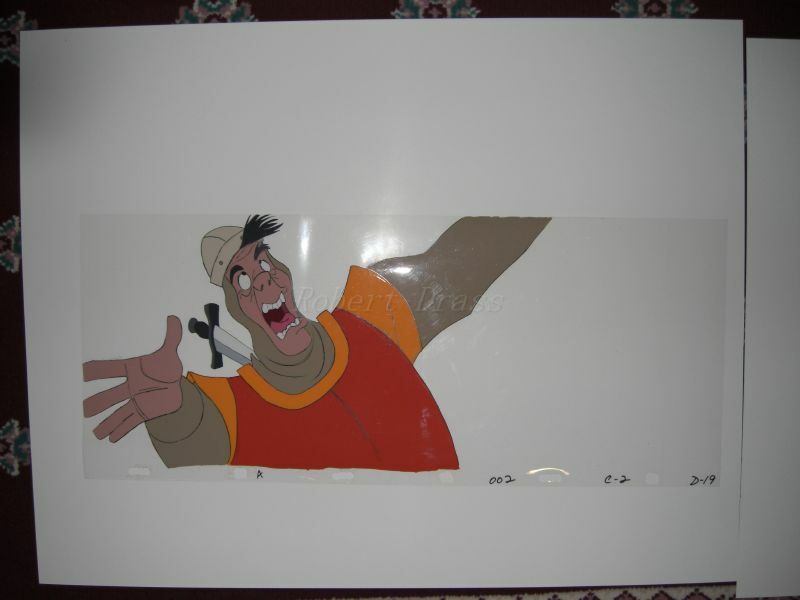 Would make a nice Daphne cab for $300 however (if you can spend the time and effort that Bruno did on his restorations! In an apartment that would be really tough).